In today’s NBA, the small forward position might be the poition with the most quality. LeBron James, Kevin Durant, Kawhi Leonard, Jimmy Butler, Giannis Antetokounmpo, Paul George, Carmelo Anthony and Gordon Hayward, to only name a few. That guarantees a tough matchup almost every game, for every small foward. Jimmy Butler was asked if LeBron James or Kevin Durant was the toughest matchup in the NBA, and he came up with a smart and perfect response. 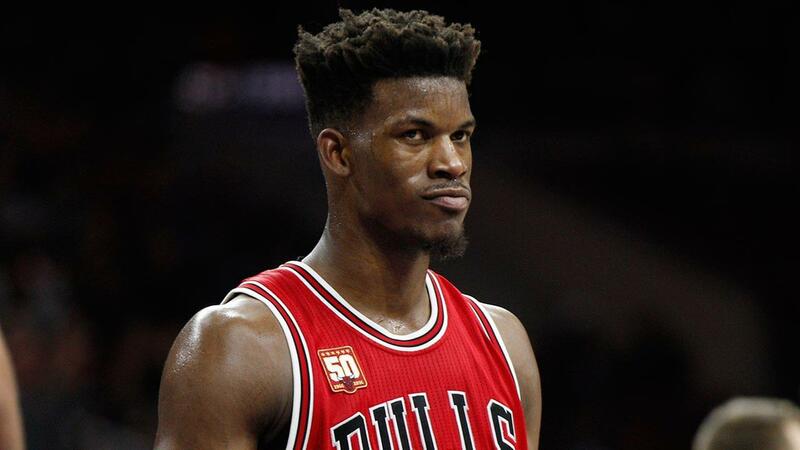 Butler, on if LBJ is toughest guard: "If I say he is, then next time I play Durant, he's going to try to score 60. You're not gonna get me." That’s probably a smart move. Not making them angry might be a key part of defending one of the two.